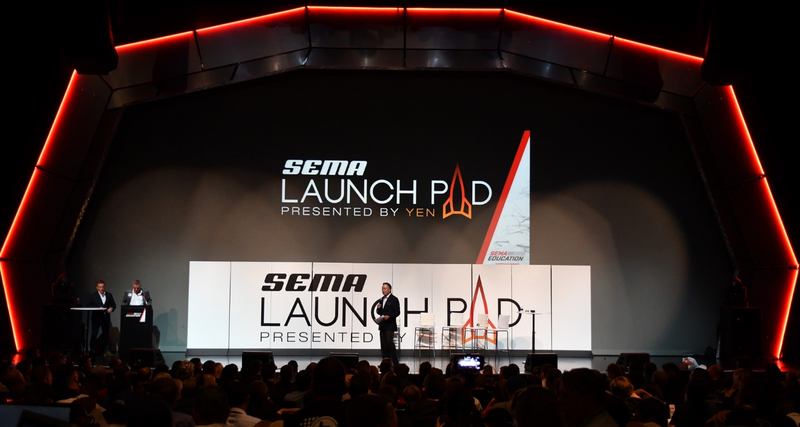 SEMA announces it is now accepting applications for the 2019 launch pad program where young entrepreneurs can launch innovative products for the automotive aftermarket industry. Interested parties can apply now at www.sema.org/launchpad and the deadline to enter the program presented by the Young Executives Network (YEN), and compete for a top prize that includes $10,000 and exhibit space at the industry-leading SEMA Show is April 14. Fifteen applicants will be awarded a complimentary one-year membership to the Specialty Equipment Market Association (SEMA), as well as registration and airfare (up to $500) to attend the SEMA Show Exhibitor Summit in Las Vegas, a two-day conference in June for SEMA Show exhibitors. The 15 Launch Pad participants will learn new business strategies and film a short video that will be used for an online voting competition. The public will be able to view the 15 videos online and cast their votes for the business they would like to advance to the next round. From there, 10 finalists will receive a complimentary kiosk booth at the 2019 SEMA Show, with the Top 5 vote-getters earning a chance to pitch their products during the SEMA Launch Pad Live event Nov. 4 at the SEMA Show. Applicants do not need to be members of SEMA or YEN to participate, but must hold stake within the company. Students who meet the qualifications are invited to apply as well.